Now using our locking speed buckle for quick, non-slip adjustment and the new Quick Drop system makes removing the leg loop elastic easy. Our most comfortable free-climbing harness, the Men's Deluxe has thicker foam and a fleece lining. The wider waist belt gives increased support to the low back area. 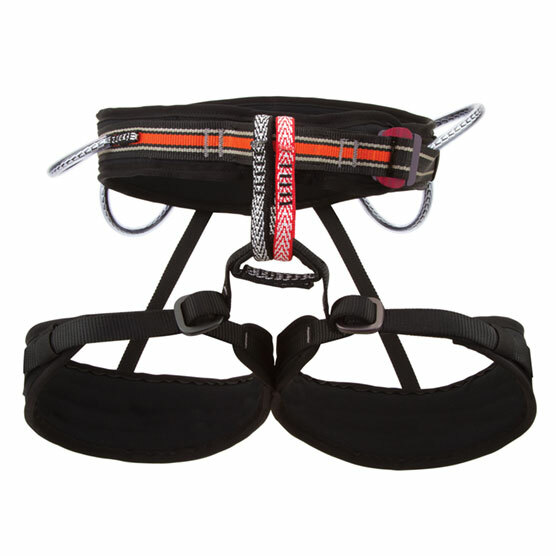 The Men’s Deluxe Harness has four gear loops, a rear haul loop, and a reinforced tie-in point. It also includes two belay loops to minimize clutter while setting up for rappels or multi-pitch belays. One simple, patented buckle adjusts the leg loop size and rise (distance between waist and leg loops) for a natural, comfortable fit.